came together in 1994 and still tour constantly spreading their earthy populism. Photo by Mike Schreiber. The average person takes about 8,000 to 10,000 steps a day—the equivalent of about five miles. In the last 10 years of his life, Michael Franti has walked approximately 18,250 miles, barefoot. Opting to take the less traditional route to fame, Michael Franti and Spearhead have gained notoriety through alternative media outlets and an aggressive touring schedule. Advocating a message of happiness, peace, love and perseverance is the element that draws people to this band. The California native began his musical career in punk band the Beatnigs in 1986. He then moved to his next band, the Disposable Heroes of Hiphoprisy, in 1991, where he performed highly political music with emphasis on social commentary. 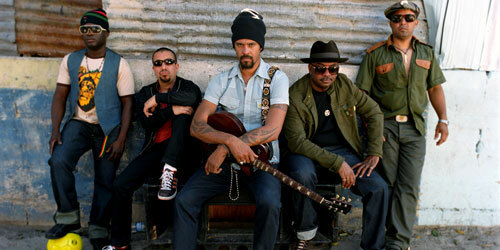 Michael Franti and Spearhead formed in 1994, and the band adopted their sound which is a distinctive mix of reggae, hip-hop, jazz, punk, soul and rock. Inspired by love and acceptance, Franti and Spearhead strive to bring joy to their audience by producing music that people will listen to and make them smile—but they still stay true to their roots in political activism and social consciousness. Franti has gained much notoriety through his Power to the Peaceful Festival, an international destination event originating in 1998, taking place every year in San Francisco’s Golden Gate Park on Sept.11. 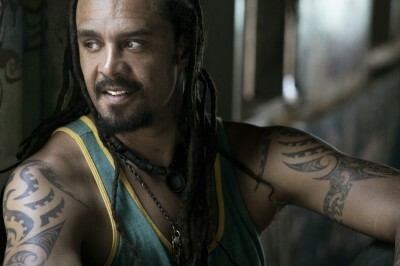 It demonstrates Franti’s connection to art and peaceful activism which he describes as a day of music, art and action. The festival assumed new meaning after the terrorist attacks in 2001. More than 100 nonprofit organizations come together to make the day about volunteering and making the world a better place through music. This year the festival hosted more than 80,000 people, the highest attendance thus far. Following their most recent chart-topping hit single, “Say Hey (I Love You”), Franti and Spearhead plan a release date of Sept. 21 for their upcoming album, The Sound Of Sunshine. This will be the band’s seventh studio album. Franti says he has never been more excited to have an album come out. The first single, and title track, on the album has already reached number one on the adult album alternative chart. The album was inspired by a life-threatening experience Franti had while on tour last August. His appendix ruptured and, following surgery and recovery, he gained a newfound and fresh perspective on life. He began to appreciate more of the little things and wanted to express that through his music. In addition to spreading a message of happiness and perseverance, Franti aspires to raise the social consciousness of his audience. After wrapping up the 12th Power to the Peaceful Festival, Franti and the band are gearing up to kick off The Sound Of Sunshine tour on Sept. 19. The tour begins in California and moves across Arizona and Texas, and continues through the Midwestern and Eastern states. In addition to lending his musical talents to spread activism, Franti is involved with many organizations that strive to help less fortunate people in other countries. An organization that holds a special significance for Franti is Soles4Souls, a charity that provides vitally needed footwear to people who cannot afford shoes or who have lost all of their possessions due to natural disasters. Soles4Souls was established in the aftermath of Hurricane Katrina to help victims of the disaster. This year marks the anniversary of Soles4Souls’ 10 millionth pair of shoes distributed as well as the 10th year that Franti has gone barefoot in a show of solidarity with people in need. Franti first decided to spend three days roaming the streets of his hometown, San Francisco, barefoot in order to toughen up his feet. After realizing three days was not enough, he kept it up and after 10 years he remains shoeless. Over the course of their fall tour, Franti wishes to collect 100,000 pairs of shoes to be donated to Soles4Souls. For every dollar donated to Soles4Souls, one pair of shoes can be given out. People can donate money or even bring a pair of shoes to any of the shows during The Sound Of Sunshine tour. While stopping in Flagstaff for Spearhead’s performance at the Orpheum Theater, Franti looks forward to catching a yoga class and savoring some local cuisine at one of Flagstaff’s many sushi establishments. He mentions he has always enjoyed coming to Flagstaff because of his love for the high desert. Franti looks forward to The Sound Of Sunshine tour and being on the road performing their songs just as the new album is released at the beginning of the tour; giving people the chance to listen to it prior to seeing the show. “One of the biggest thrills for me, or for any artist, is to see somebody else singing your song and know that they’ve taken it into their life,” he says.